tranquility du jour: costa rica care package para ti? costa rica care package para ti? while getting my deep tissue massage this morning (i know, i know, it's tough), i thought of a fun idea: a cost rica care package full of goodies from my journey (coffee + chocolate = yum!) for one of my beloved tranquility du jour readers. 1. what would you like to see more/less of on the tranquility du jour blog? 2. what would you like to see more/less of on the tranquility du jour podcast? 3. what would you like to see more/less of on the tranquility du jour tv (videos)? 4. what brings you to read, listen, or watch tranquility du jour? answer one or all of the questions by monday, june 7 9pm ET. the winner will be chosen at random and announced on tuesday, june 8.
merci beaucoup for your feedback, time, and support. please know that all input will be greatly appreciated and considered for future blogs, podcasts, videos, and more! I love reading about your journeys through school and how you incorporate your education into your daily life and business. Being a grad student myself (for way too long, I might add), it is sometimes hard to find a nice balance between school and non-school life. I would like to hear more from you. I miss the older podcasts that did not have a guest. While I adore your guests, I also enjoy hearing your words of wisdom. I'm not certain how this could be done, but I think "tip" videos would be fun. One the tv channel FINE Living (doesn't exist anymore), during commercial breaks they used to have FINE tips, a 30 second to 1 min segment on quick easy tips on decorating, time-management, cooking, etc. Perhaps some Tranquility tips? 4. what brings you to read/listen/watch tranquility du jour? 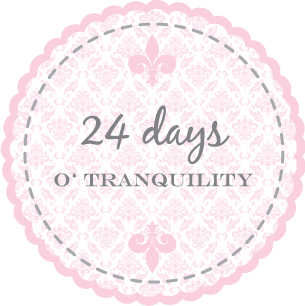 I'm a big fan of a tranquil lifestyle, however I'm still quite the novice at creating one. Reading and hearing about ways to incorporate tranquility into my daily life, is a nice reminder for me to pause, take a breath, and put my stress aside. I decided to answer just one question, the last one, "what brings you to read, listen, or watch tranquility du jour?" because that resonated the most with me. Why do I read TDJ religiously? Because it allows me a few moments of serenity. I look forward to the daily emails, in fact, when I see it in my inbox, I purposely go through all my other emails first so I can truly sit and savour my daily dose of tranquility!! With my job, planning a wedding in October in India, and unpacking to settle into our new home, I found that tranquility was an elusive thing. But when I read or watch the videos or listen to the podcasts on my iPod, I feel more connected, more in tune. Even for just a moment. i came to your blog because of yoga...i stayed with your blog because...to be honest i rather admire you went from teaching in your living room to owning a few studios. i would like more travel, business (especially the process of designing your clothing line....how do you pick the colours?) 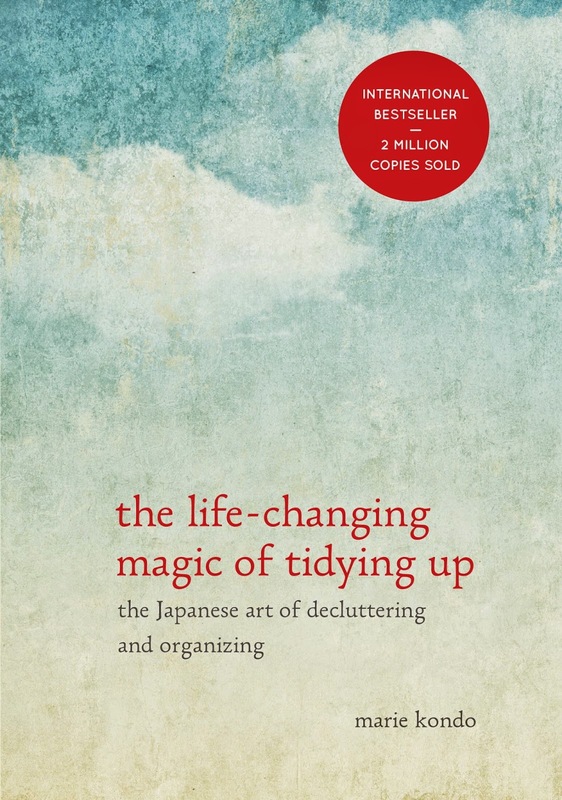 , organization and of course yoga. more yoga please, more tips on life organization. and introducing us to different sources. i think i answered that in the first question. i stopped reading the blog for a period...but recently picked it back up when i found focus in my life and looking for those that do what i want to do. I found your blog by searching for information on Planner Pads. I have been a Planner Pad user for YEARS but wanted a fresh look from someone else's eyes. I stumbled upon your blog and fell in love with all things on here. I would love to see more Planner Pad info!!! To me, all four questions have only one answer: you. I'd like to read/see/hear more of just YOU on the blog, podcast and tranquility du jour videos. Your guests are wonderful, but I agree with TheAnalyst: I miss the original podcasts and posts where it was just you!!! You are what brought me to TDJ, and what keeps me here. You, your experiences, and your insights are what keeps me coming back to TDJ, much more so than any other guest or interviewee. Bottom line: more Kimberly, less other. That doesn't mean you need to post more often - we know just how busy you are! But you create quality, which means the quantity can drop. 100% Kimberly would be AMAZING! So glad to see that you're enjoying Costa Rica! 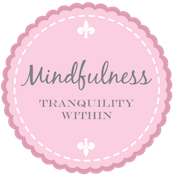 I'd love to see a working mom added to your list of guest bloggers that is living the tranquil lifestyle. I am sure you have quite a few moms that read TDJ and would love to hear firsthand how a working mom is being a mindful mom and career woman at the same time. On the podcast, I'd love to hear some interviews with corporate moms that are doing it right. Living a life of tranquility with children and working too! I read this blog as an inspiration and a challenge to push myself to be more creative, entrepreneurial, tranquil, and fun! I enjoy hearing about your perspective on handling the ups and downs of life and business with tranquility. And, agreeing with other posters, I enjoy hearing from you yourself, even if it's more infrequent! I enjoy the interviews - I like hearing how other people find tranquility in their own lives from many different paths. 1. When you travel and post pix of the adventure,showing how you enjoyed it. Or, if you go to an event, we see what you wore. Loved how you/beau got all dolled up for the inauguration, or some of the galas. Pix of how you do things - like visual journal, planner pad, declutter your closet/home, etc. I can't say 'less' of anything because I always enjoy the read. 2. I miss the 'pose of the podcast'. More musings by you, I looked forward to the weekly ones you did for the Tranquilista course. You used to muse on questions from listeners. The ones where they talked about problems and you helped them? That might help you with your goals of doing therapy. Are there some common issues you work thru during your mentoring sessions that you can discuss? Guess that means less interviews with others? 3. Some new yoga videos, like the 8 minute pigeon or 3 minute 6 movements of spine. Sometimes I like to focus on one area and these are quick and easy to play. When you explore something new, like Philadelphia. With all of your upcoming trips, there are lots of opportunities. How about a video on one of your retreats? Probably too late now but Costa Rica would have been fun. Maybe Kripalu, I'd love to see what that is like. Don't make less videos! 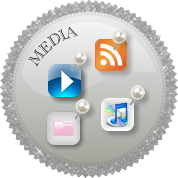 i think a great feature for the podcast or blog would be a mentorship case study! i know that you mentor women who have goals related to entrepreneurialism, yoga and more, and it would be so neat to hear you interview someone on the podcast who is beginning in their journey as an entrepreneur, yoga, etc and check in with them every few months - so we can enjoy the journey together! learning with your mentee, and encouraging her! xoxo. I love the business tips a la Tranquilista. I'm a big proponent of creating bliss in work because it's such a big part of one's life. It's the daily application of the tips of tranquility. You're such a good example of that because you are so busy yet you take time to "smell the roses." Thanks for the one email I look forward to receiving in my inbox every day! At the risk of sounding like a groupie...I also would like to hear more of your voice. Your approach to life, and yoga, is unique and I seem to get a better understanding of it with each post. I appreciate the tranquil lifestyle tips/issues as well, and I see it as an extension of you applying yoga to your life. I love the videos that demonstrate yoga asanas (akin to what Melissa does on the tranquil space blog), but I think you have a special way of showing the asana, its benefits, and modifications. Your ability to embrace yoga and work it into your life so completely without being extreme or dogmatic is what draws me to your blog and I love to hear about your approach to life--whether its daily struggles or long-term goals. I love reading about your adventures and what brought you to where you are. More on ayureveda, organization, and do-gooding. More yoga poses and baby steps to get to tough poses. The variety of interesting topics and a lovely community to engage with. Thanks! i am mirroring some of the others when i say i'd like to see more of you as well. especially in the videos. i know that you have an injury and won't be able to do yoga for a while but i would LOVE to see you doing more yoga sequencing on the vidcasts. or, just maybe you could show people yoga sequences that can be done even if you do have an injury. just a though ;) i love everything you do and always look forward to reading more. hugs!! More Q&A. Particularly related to problem-solving in both the realm of personal and professional life. In the past there was much more of that (or at least I think there was). Also, reports on how others use tools in their life, whether for organization, personal development, etc. I think the answer above also applies for this question. I've been re-listening to HTC podcasts and one feature that I really enjoy is the HTC chat, particularly when someone seeks advice that you respond to. For example self-development; coping; finding and accepting who we are deep down. Features on common struggles. How to cope with emotional or binge eating (which I experience and know so many others who do as well); Learning to read our bodies and emotions; struggles with weight loss where the answer is not necessarily green smoothies. I recently re-listened to a podcast with sarah powers on yin yoga and insight medication. Her comments about noticing our current feelings without trying to turn them into what we think we are supposed to be feeling or handling the situation was a revelation. It's not always about being "good" it's more about accepting. Sorry for the runaway writing. Inspiration, motivation, information, a desire to live the best life for myself. The guest blogger who talks about food and includes meat doesn't seem to resonate with your way of being...so...less meat? 1. What I would like to see more/less on Tranquility du jour blog? 2. What I would like to see more/less on Tranquility podcast? Definitely more of you! I love the interviews with others, but I would really like to hear about the subject from you and how you have incorporated it into your Tranquilista lifestyle! 3. What I would like to see more/less on videos? Yoga mat work, sequences that show how to get the most out of a pose and breathing techniques. Also more how to's maybe recipes, creative endeavors and applying yoga off the mat as well. 4. 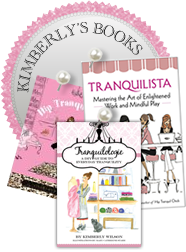 What brings me to read, listen, or watch tranquility du jour? You! I love the way you are so positive and share your insight with us. I adore the clothes you wear and your outlook on life. You are my muse, mentor and inspiration in all things tranquil. I love coming here to see what you have been up to and what you are doing next. You have restored my faith in humanity and I am forever grateful for that. I cherish the way you bring us to think about concepts in our lives and how to make each day productive, yet reflective and calm. Thanks so much for being you, and sharing your life with so many of us! How do you fit study into your busy life? What gets your creative juices flowing? Managing difficult people. Gracefulness. The importance of laughter. Tranquil pets. I have to admit, I miss the yoga sequences of days gone by! They used to lead me into a nice calm place of focus before listening to your wonderful show. Is EVERYTHING too broad of an answer? :-) Anything of a show-and-tell nature is great fun, such as the tour you did through the pink palace, your office organising etc. Perhaps a cooking or gardening in a small space segment or a peek into your morning ritual or bed-day musings. I'd even like to see Louis in action having some funtime! 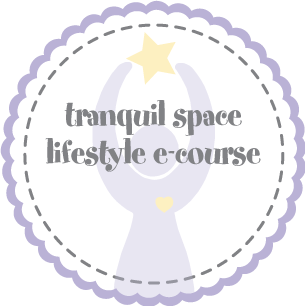 LOL And for those of us who are a long way away from DC, a sneak eek into what a 'real' tranquil space class is like - that would be very cool. I'm the mother of 3 - 4 years and younger. I am a student. I am a wife and home maker and I am me- or at least I try to be! And the me that I am, wants to be peaceful, tranquil and productive in all aspects of my life. Tranquility du Jour is wonderful self care that not only gives me a moment for ME, but gives me gentle reminders of what other delights there are to life outside of my all consuming word. 1. what would you like to see MORE of on the tranquility du jour blog? I enjoy newsy type posts. What's going on, spontaneous thoughts, questions to ponder. OM work activities. 2. what would you like to see MORE of on the tranquility du jour podcast? More musings from you on the topic everything!!! Fitting study into your busy life. Making the mundane tasks of the day into tranquil tasks. You don't have to do it all, delegate etc. Decompressing after a hard day. Personally I love anything of a show-and-tell nature. A sneak peek into a real tranquil space yoga class for those of us a long long way from DC! I'm a mother of 3 under the age of 4 (and 1 fur baby), wife, home maker, student and in any time remaining I am ME! - Me time is at a premium and you offer me a window into many wonderful things that are outside my frantic little world. Without TDJ I might be oblivious to these things or simply have no time to pursue if they do catch my eye. - Lots and lots of wonderful points to muse, questions to ask myself and tips to keep ME (outside of what I do) alive. TDJ feeds my aspirations of who I want to be, what I want to do and gives me ways to slow down and enjoy what I currently have. - The lively, fun, ever changing topics all with the one common element of tranquility. I enjoy reading your blog- both the guest posts and your personal posts...I'd love to see more posts/podcasts that deal with the actual creative process (not necessarily serious- just the light aspects of it would be fun too! )- Maybe favorite passages from your favorite books- or your favorite creative tools. For example I really enjoyed the Planner Pad podcast- I bought a Planner Pad and I am absolutely loving it..:) So stuff like that would be fun! A peek into your TranquiliT clothes designing process maybe? #4: What brings you to read/listen/watch tranquility du jour? First off, I just adore your blog so much!! Thank you for all of the effort you put into it, your podcasts, and your vidcats for us all. However, if there was one request of what else I would love to see there, it would be for you to highlight a favorite book ac ouple times a month or so... past or present... and it doesn't have to be an absolute favorite, just your musings on any current one you may be reading or one especially memorable. I also miss the section of book recommendations you had on one of your older blogs. It would also be great to see posts with photos of your fans in their TranquiliT ensembles. How about a "listener question" answered at the end of each podcast? Or a Tranquil Tip of the week? Would it be inappropriate to record an artist date? Or maybe one of your artist dates could be to create a video of said artist date. I have also loved the vidcasts in the Pink Palace, the fashion shows, and especially your creative explorations. I think more of the latter would be my most favotite. YOU, Kimberly. You are a very special and inspirational woman!! I really prefer the podcast as I have about a 30 minute commute. The podcast gives me a way to gently ease into the day and to calm the stress at the end of the day. Kimberly - First of all I have to tell you how much I've enjoyed reading your books, and following your blogs, and podcast! I look forward to your posts everyday! I am going to be attending your workshop in July and am so excited! I am also a yoga teacher and love learning! I am very thankful for all your advice! 1. what would you like to see more/less of on the tranquility du jour blog? I really do enjoy your blogs! I would like to hear more about your yoga practice- classes that you enjoy, breathing exercises you enjoy, how do you make your classes/studio special? I am also very interested to know more about the type of tea you enjoy and why? Like many of the others I would also like to know how you stay organized - details about planning pad and other techniques you find useful! 2. what would you like to see more/less of on the tranquility du jour podcast? Your podcast are amazing and I do like the guest speakers - it might be good to mix it up a little! 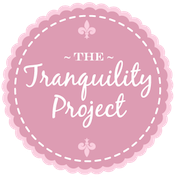 This might also be a good place to tell more about what your doing and getting ready to do... like the Tranquility Project! Which I am very excited about! I would also like to hear more about what you are doing with your non-profit group! Sounds very interesting! I am also getting ready to start a blog and would like to hear exactly how you got started! I love the quick lists and tips. I'd love more quotes or inspirations that are inspiring your week. I love the podcasts, old and new, and while I love the guest speakers you select and your interviews, it might be nice to have a little more of your voice. I don't currently watch the TDJ tv too much, but I would love to see a yoga pose demo for a particular ache or mood boost. I love the little dose of goodness and inspiration that pops up on my Google reader. The podcasts have opened me up to new books, new ideas, etc., which I just love. Merci beaucoup for all you do! The blog is great as it is! There is a good mix of your personal thoughts and activities and insights and interviews with other tranquilistas. The balance is good and I like the fact that you don't rant and rave - it is very tranquil :-D I particularly enjoy the hopes and dreams for the month that you do at the beginning of each month. You always have great links to explore other things. I really like the interviews - they are awesome. Really good for inspiration and just relaxing and listening to. There is a fantastic mix of subjects but all in keeping with your tranquil theme. I never watch the videos - so nothing here for me. I am looking for inspiration and ideas to keep me motivated! I absolutely adore the blog and look forward to each posting. The only thing I can think of is some info on how you live so happily in your 'pink palace' with the lack of space. I am looking to pare down severly in the next couple of years and see myself in a similar size space soon. I love all things on the podcast and feel that you hit such a wide range of topics. Maybe one topic to expand might be something on buddhism or all things spiritual. I would love to see more fashion ideas of how to use and pair tranquilit items. Definitely your spirit Kimberly. It always improves my mood to see/hear/read something from you. 1 & 2 - I really like both of these. I enjoy your guests and understand why you brought guest bloggers to the blog. I actually differ from the commenter who would prefer more of you even if it meant fewer blog posts. I have REALLY enjoyed the links shared from all your guest bloggers (and you) and like knowing that every day or couple of days there will be a fresh dose of inspiration whether or not you've been able to squeeze it in your schedule. Also, as someone who acts as a source of creative inspiration to my own circle of friends, I know that it's difficult to come up with something new and fresh all the time. You do a great job, but delegating some of that responsibility to others in order to keep the content coming is, in my opinion, a wise move. 4. I found you back when you were HTC. Yoga is a love of mine, but so many other things you love, I do too: journaling, living creatively, Artist's Way, etc. Now that I am diving into my own business, I have gone back to listen to MANY of your older podcasts and have listened with fresh ears. I am GRATEFUL for the quality of advice and for the sheer number of podcasts you have put out. So I arrive for mentorship and to fill my own well, since my own business is focused on creativity. You provide much fodder from which to choose and to share. Thank You! I love when you add photographs of things you are working on or experiencing, it really adds when I read through your posts. I especially enjoy when you allow us to have a sneak peak at your inspiration through your visual journals and ideas book. I find myself creating similar items for myself and having your images definitely helps the creative juices flow! One thing (just an idea of course) I would love to hear your opinion about is transitioning. I am 25 years old and I feel like so many things around me are changing and I find it hard to stay grounded. It is a weird time and it would be great to hear your insight. I will admit, I am a bit of a newbie when it comes to reading your blog and so far what I have listened to in the podcasts has been wonderful. I find it a delight to listen to in the background while at work - definitely a stress reliever on a busy day. What I do enjoy most about the podcasts is when it feels more like a discussion you are having with a guest that I happen to (in a way) be eavesdropping on - it flows wonderfully. I have read in your posts a great deal about yoga and I would love to see more of this on the videos. I have always wanted to begin yoga and have taken a few classes, but am nervous - I feel the help from the videos would give me an extra push to commit. I was actually introduced to your blog by a tweet a friend of mine sent out and she referenced your blog. After reading one post, I was hooked! What brings me back is the inspiration and the variety - there is something new every time and a new way to look at it! I just began a blog myself a few months ago and I have found myself being more inspired by listening, reading and watching. 1. I love your blog, and can't offer much insight on improving, as I read it as often as I can. 2. Your podcasts are awesome, and as I've mentioned, I love your interviews with folks you have gained inspiration from and feel compelled to share. I've personally benefited HUGE from your experience. 3. I love looking at little snippits of your life. Would you ever be comfy doing little, tiny yoga combos? I get little exercise videos from Tracy Anderson, and they're great to save on my computer for travel? Just a thought. and the winner of the care package is lynne from ny! i told beau to choose a number from 1 to 33 and he chose 9. that = the lovely lynne! kisses, kisses, kisses for *all* your great feedback. watch for implementations of your ideas over the next few weeks! I find your work and writing to be such an inspiration as business owner.